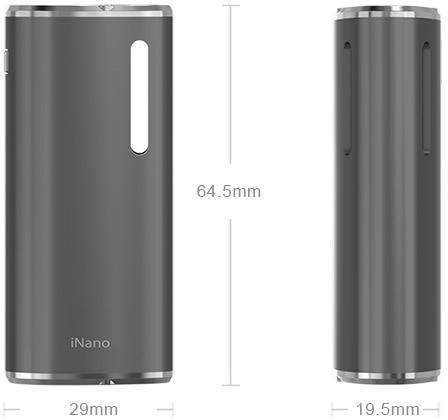 Eleaf iNano, an extraordinarily tiny e-cigarette kit by Eleaf, has a battery capacity of 650mAh. 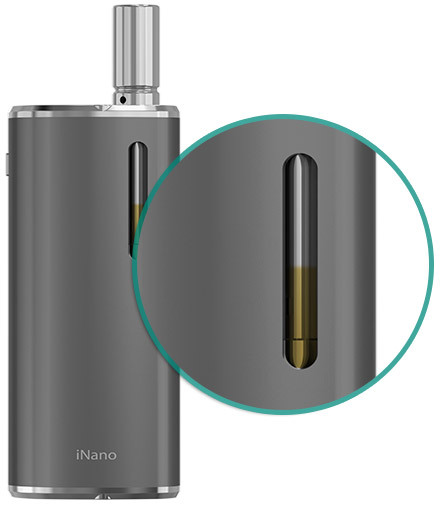 The atomizer is smartly inserted and locked in the box by a magnetic connector, which is much more convenient to use and carry. 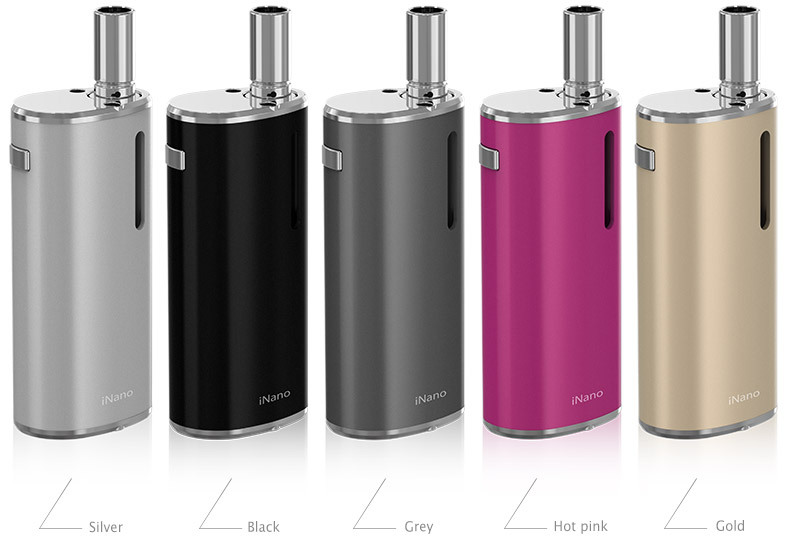 With five colors to choose, the iNano is a nice choice of on-the-go kit. 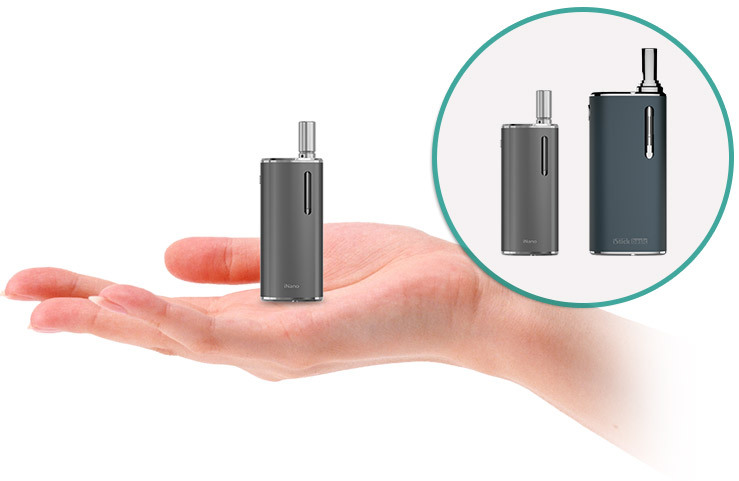 With remarkably small size and easy operation, the kit is the best choice for new vapers when on the go. 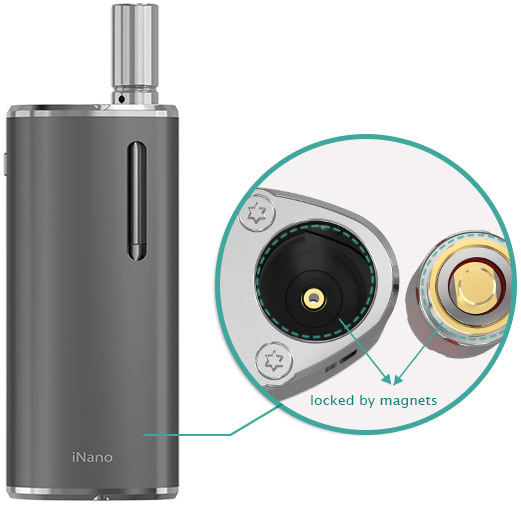 The atomizer is smartly inserted and locked in the box by magnets, which largely saves space and makes the kit convenient to carry. 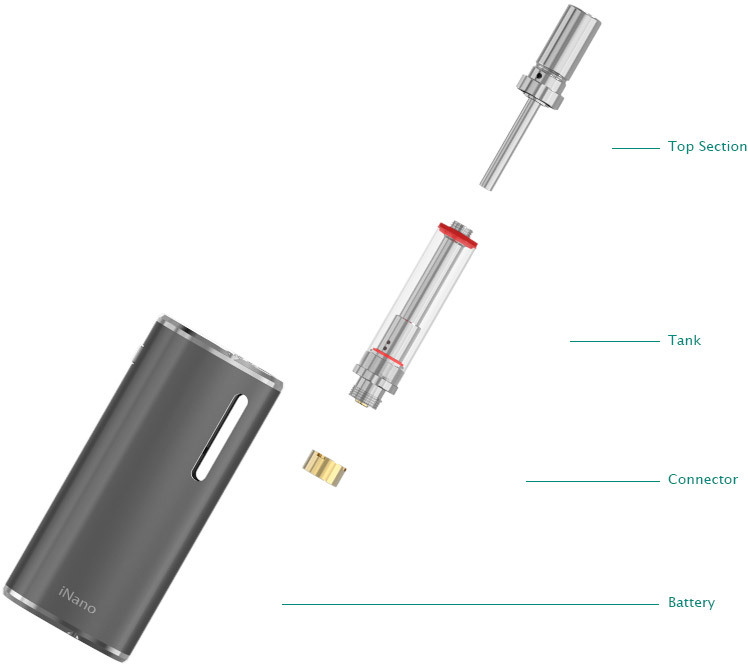 The e-liquid level can easily be noticed by a simple glance at the window. 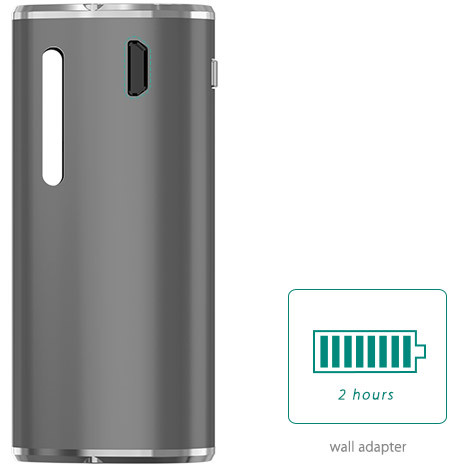 The side USB port is for ease of charging the device. Direct output voltage system is applied in the iNano. 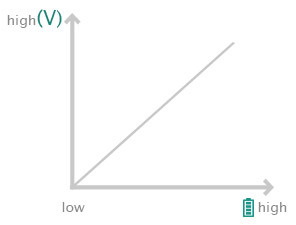 The higher the battery level, the higher the output voltage.